IS NOT FACT BUT A POSSIBILITY. EVERY TIME I GO TO A SHOW, THERE IS A SLED THAT I WISHED I TOOK BETTER PICTURES OF. WHEN I WAS TAKING PICTURES, I DID NOT STOP AND LOOK AT THIS SLED AS I WALKED BY QUICKLY. AT A GLANCE, I THOUGHT THIS SNOWMOBILE WAS A WHEEL HORSE. 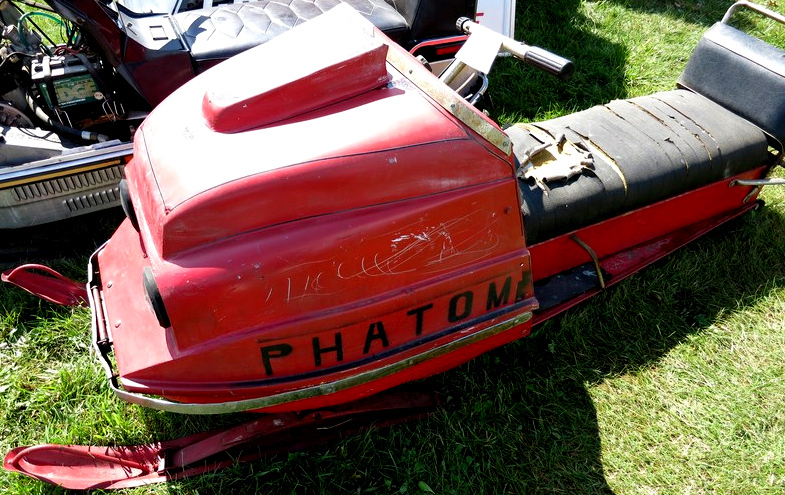 I THINK IT COULD BE A RARE 1970 SNO FLITE SNOWMOBILE. 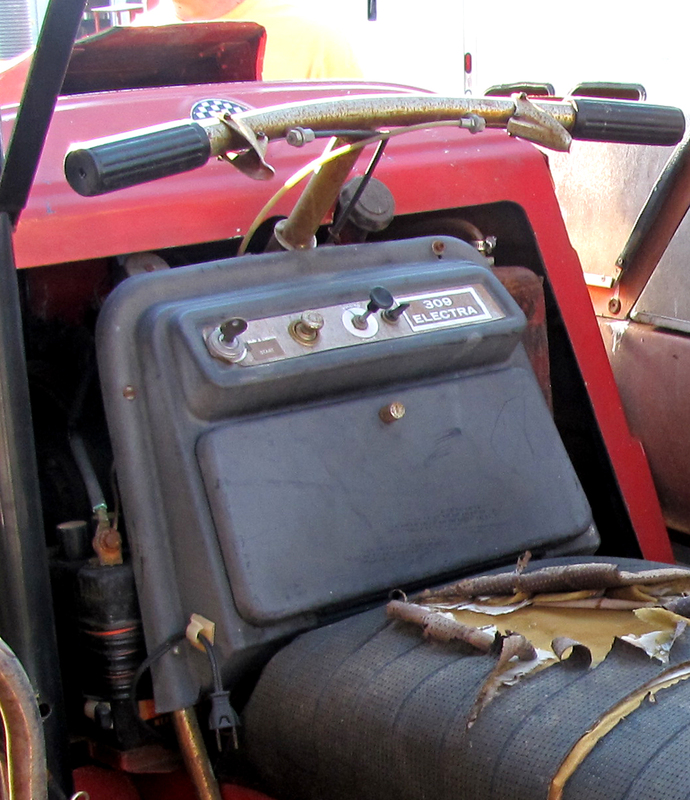 REMAINING PARTS / STOCK / INVENTORY OF SNO FLITE SNOWMOBILES TO WHEEL HORSE. 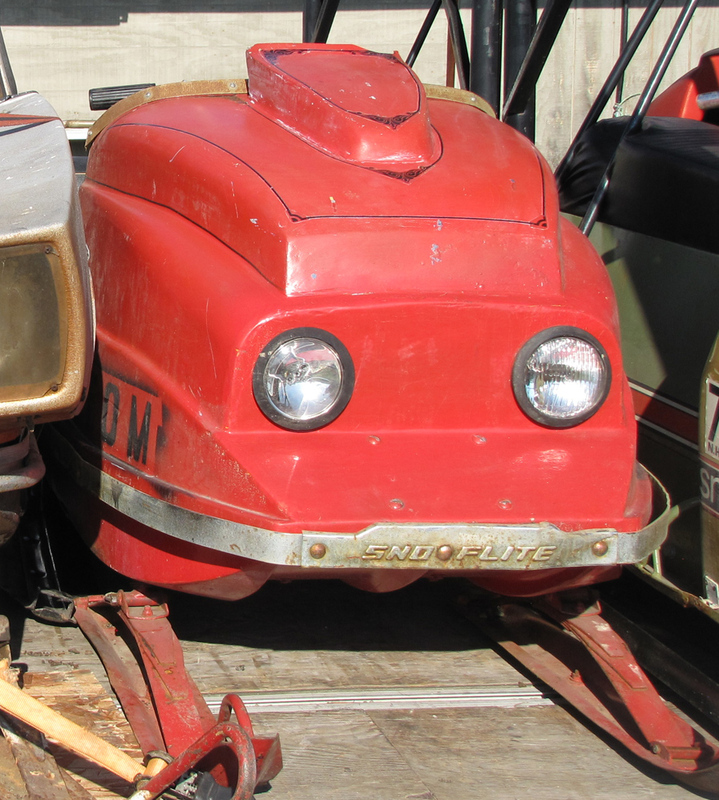 1970 WHEEL HORSE SAFARI SNOWMOBILES. 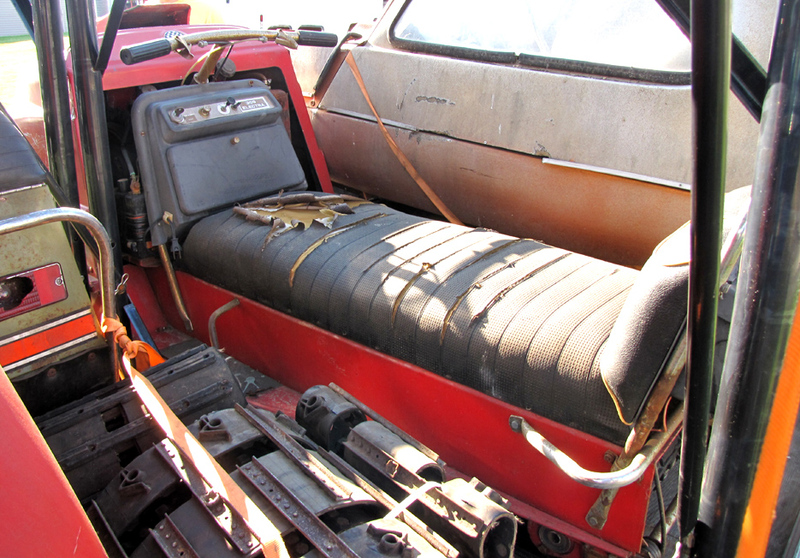 OF THE 1969 SNO FLITE SNOWMOBILE REMAINING PARTS / STOCK / INVENTORY. WRITTEN ON THEM LIKE THE METAL PLATE ON THE FRONT BUMPER AND THE HOOD DECALS. BUILD AS MANY 1970 WHEEL HORSE SAFARI SNOWMOBILES AS POSSIBLE. PUT NEW DECALS ON THEM, AND THEN SOLD THEM AS A NEWER MODEL FOR THE NEXT MODEL YEAR. PUT NEW DECALS ON IT AND SELL IT AS A 1970 SNOWMOBILE. 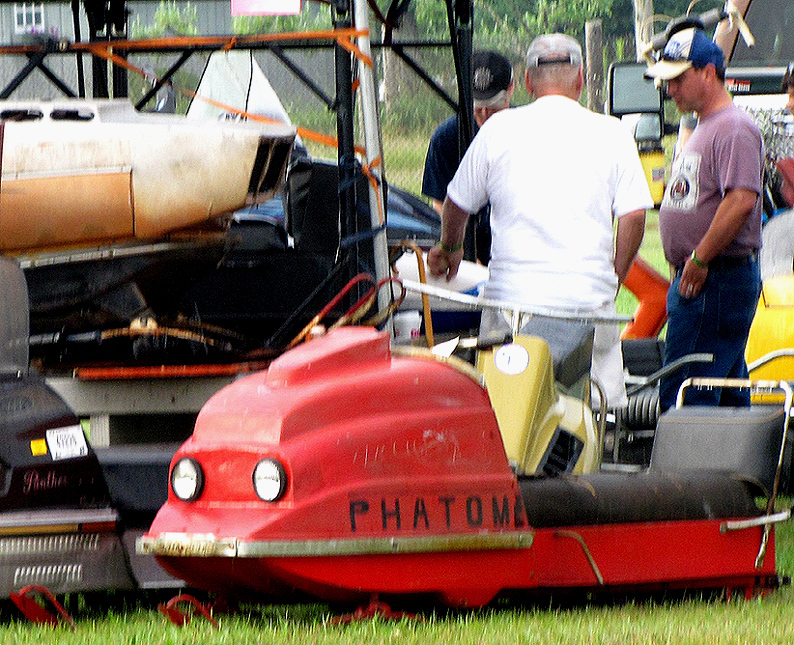 LABELED THEM AS 1970 SNO FLITE SNOWMOBILE MODELS. 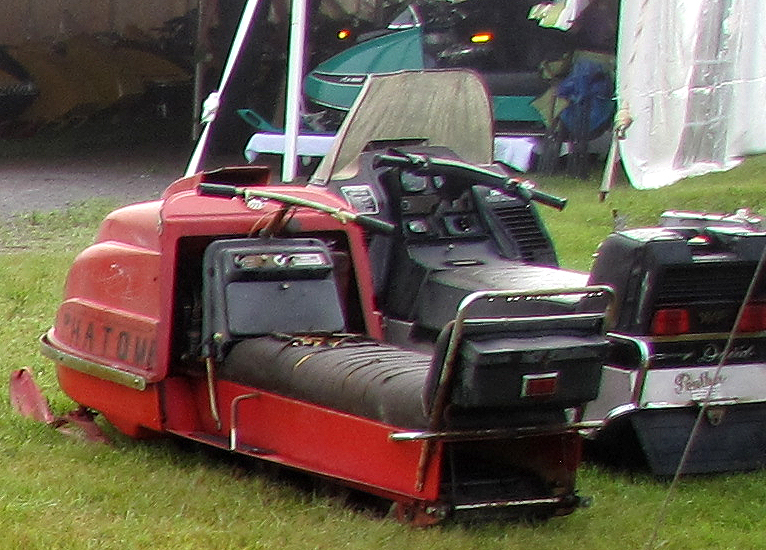 1970 SNO FLITE MODEL RATHER THAN A 1969 SNO FLITE SLED. EASIER TO SELL. 1970 SNO FLITE SNOWMOBILES AS WELL. 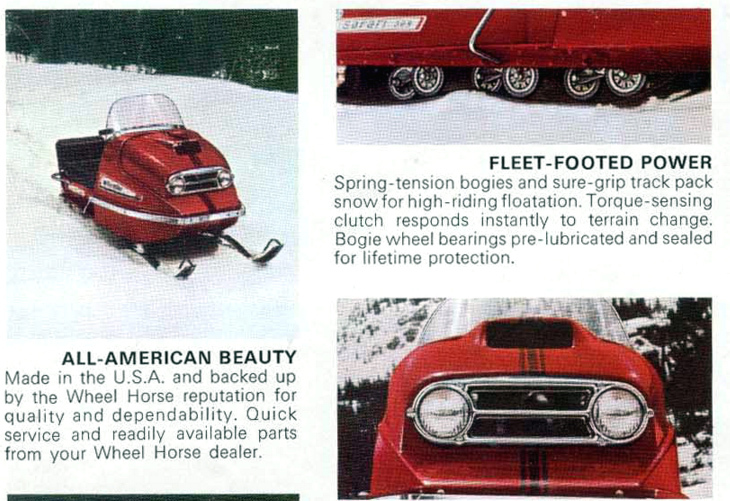 OVER THE YEARS, THERE WERE MANY SNOWMOBILE COMPANIES THAT WENT OUT OF BUSINESS. DASH PICTURE BELOW, YOU CAN SEE THE SNO FLITE ROUND LOGO ON THE DASH. 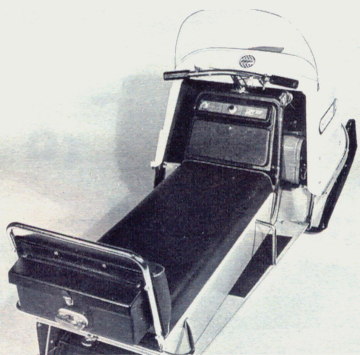 FALL OF 1969 AS A 1970 SNO FLITE MODEL. THE DEALERSHIP FLOOR AS I HAVE AN AD SHOWING THIS TO BE TRUE. 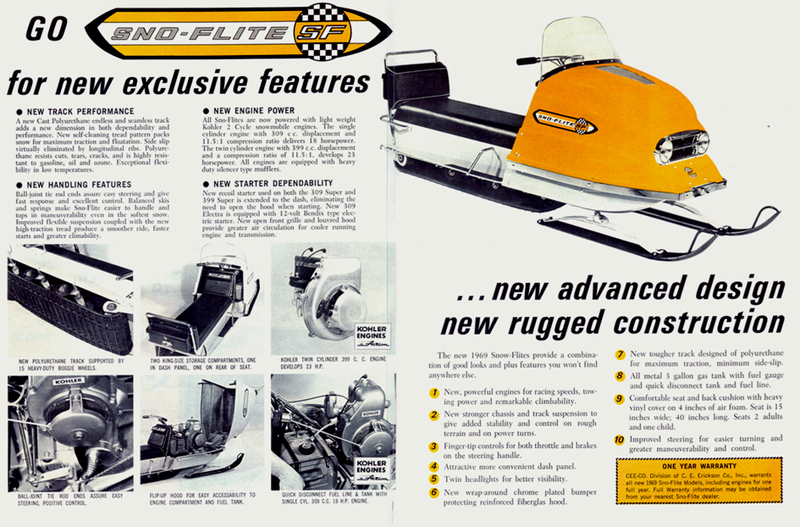 I HAVE OTHER ADS ADVERTISING SNO FLITE SNOWMOBILES IN THE FALL OF 1969. SNOWMOBILE. I THINK THIS PAINT JOB IS ORIGINAL. ALSO, NOTICE THAT THE BIG FRONT CHROME GRILL AROUND THE HEADLIGHTS IS MISSING. SEE YELLOW SNO FLITE PICTURE BELOW. THEY DID NOT CUT OUT THE AREA BETWEEN THE HEADLIGHTS, INSERT THE CHROME GRILL WITH THE OPENING THAT ALLOWS THE AIR TO PASS OVER THE ENGINE TO COOL THE MOTOR DOWN. THE WAY THEY WERE WHEN THEY CAME OUT OF THE MOLD. THE HOOD ALSO HAS A FUNNY TOP. IT MAY HAVE BEEN ALTERED BY THE OWNER OR CAME THIS WAY FROM THE FACTORY. THERE WAS A 1969 SNO FLITE - 309 ELECTRA IN THE 1969 SNO FLITE BROCHURE. 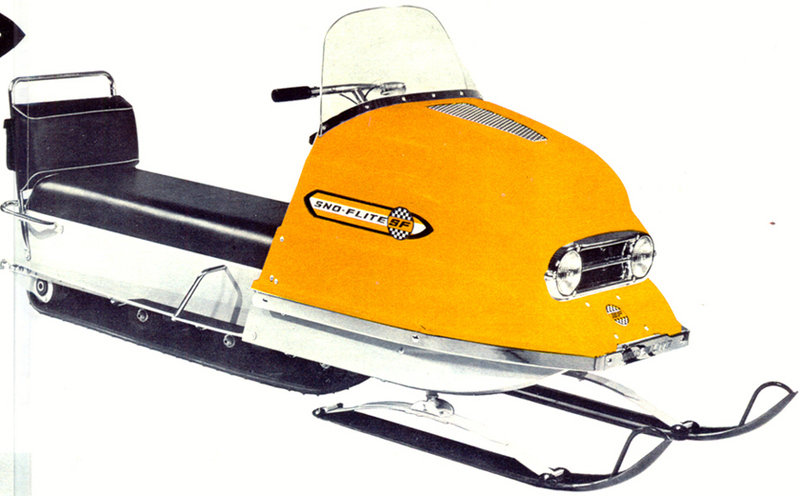 ALL SNO FLITE SNOWMOBILES WERE YELLOW FOR THE 1969 MODEL YEAR. 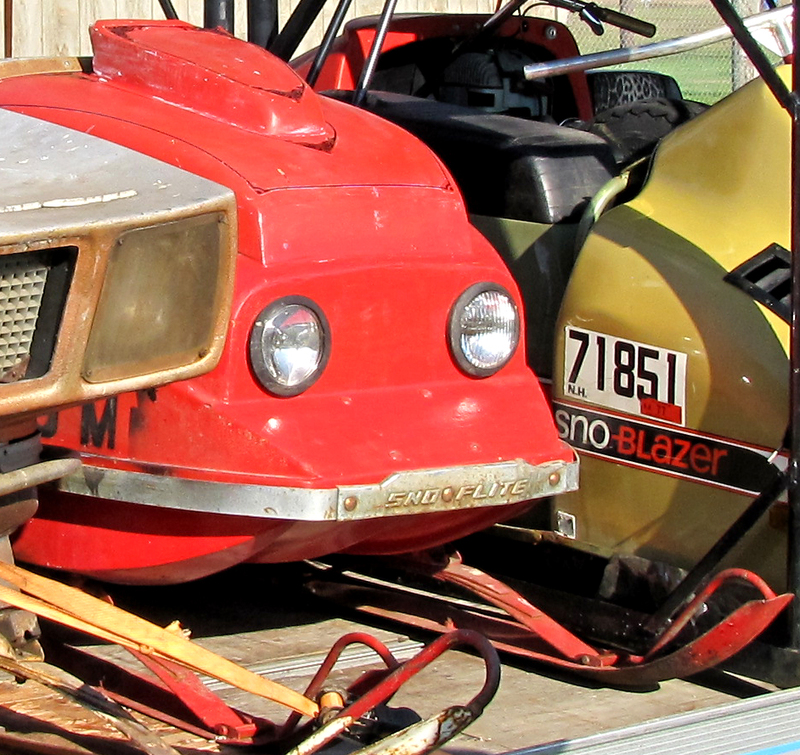 AND SOLD AS 1970 SNO FLITE SNOWMOBILES. 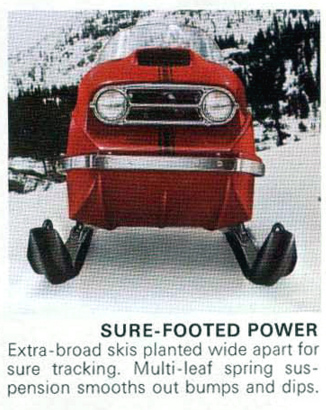 THIS IS THE 1970 WHEEL HORSE SAFARI SNOWMOBILE.